The other day we went to shoot a new add for Afray. Was heaps of fun from the get go as Mikey hopped out of the car with Raph and a carton of goldies in hand. Was a great recipe for nothing to get done but we got a few tight shots. Was a heaps fun afternoon with Big Brenno, Nitai, Mikey and Raph all coming out for a good time! Just wanted to say thanks heaps to those boys for making my afternoon! I think the ad is for the new 2020 so until then heres a few photos from the day. Just a few of us chillin and one of how you definitely dont want to fall off a ledge haha. She’ll be right mate. The first correct guesses for our Pete Radivo comp were two minutes apart so we decided to give out two prizes. Both Hayden Vesey & Justin Grey guessed correctly with Pete doing a superman seat grab to disaster. Both these guys will soon receive a package in the mail with some pedals & some grips. Easy as that. Thanks to all those that sent in email entries. You can check Pete doing his trick in the web video below… it’s not the one in the photo but you get the idea. 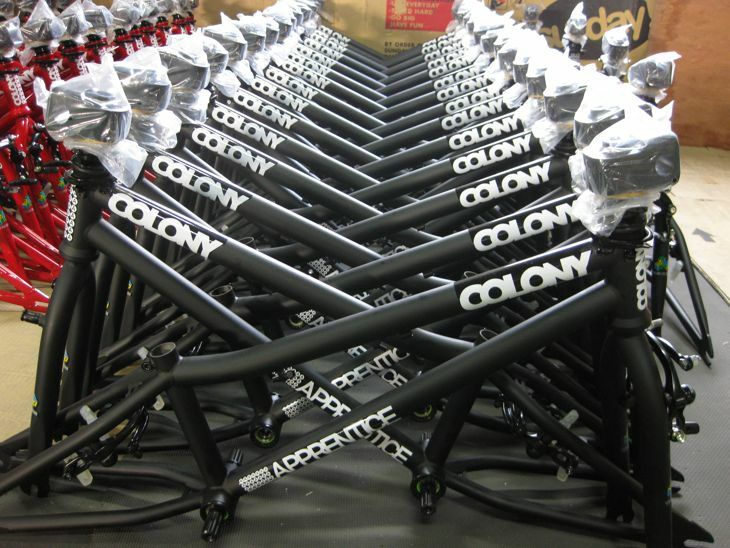 Due this week in bike shops across Australia, is our next range of colours for our Endeavour & Descendent complete bikes. See below for the new colour ways & we will have full studio shots up by the end of the week in our products section of the site. Hit ’em with it. Other countries will receive their bikes in the weeks ahead. So check with your local dealer soon. Endeavour in Matt Black with Wasabi & Gold. Endeavour in Clear Raw with Purple. Descendent in Red Storm with Red. Descendent in Clear Raw with Blue. The guys over at Soul BMX Magazine in France have a little comp going right now where you have to guess what trick Pete Radivo is doing on our website splash page. Click here to check it out for a chance to win some Colony gear. 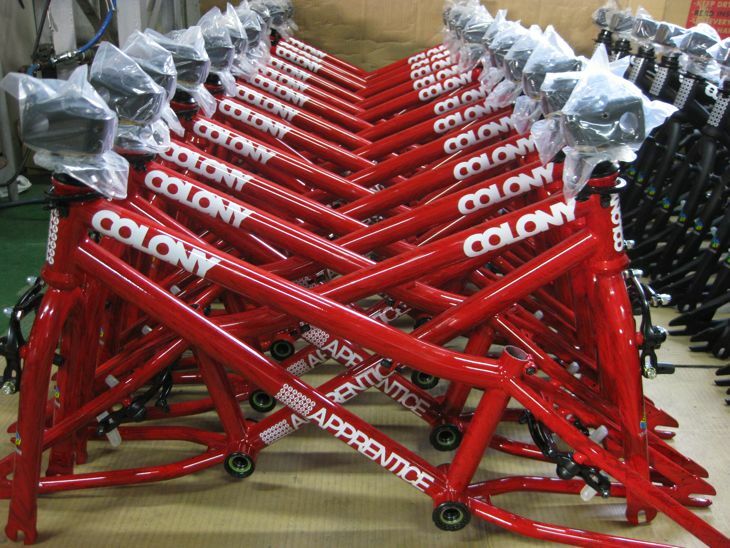 This comp above is only open to riders in France but the first correct email entry from Australia to info@colonybmx.com.au will win a set of grips & pedals…. be quick !! Entries close 6pm Sunday. 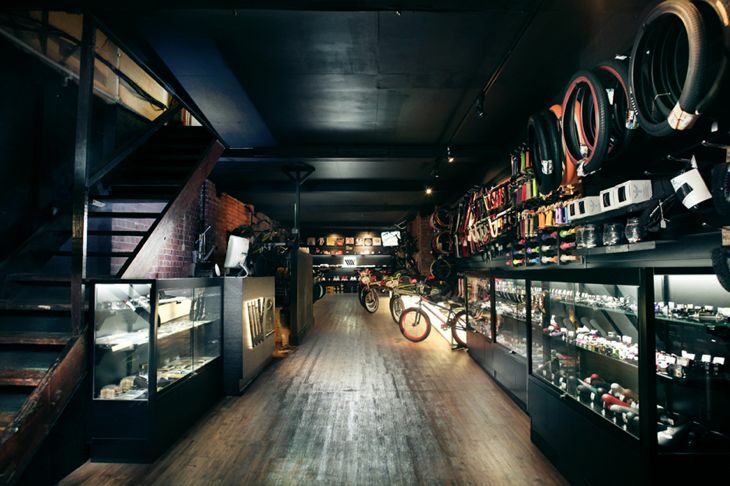 The guys over at Ride On BMX Store have put together a custom Rebirth packed full of our parts. Check it out by clicking here now. With the retail prices of our entire ranges reduced lately in Australia, there is no better time to get yourself sorted with a new ride. 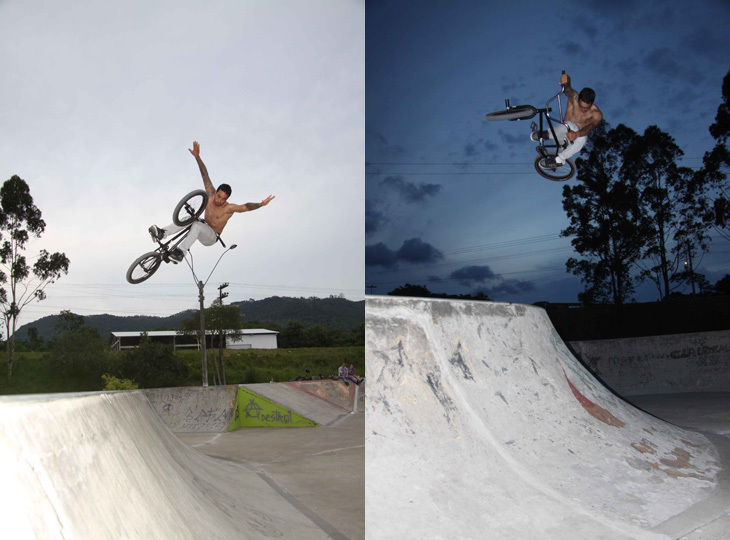 Valvo sent us an email about a trip he recently took to south Brazil Santa Catarina,Blumenau. Riding a bunch of parks with friends. From the photos he sent though it seems to have been a fun trip. Valvo also got a new bike this week so we will have a bike check up from him soon aswell. 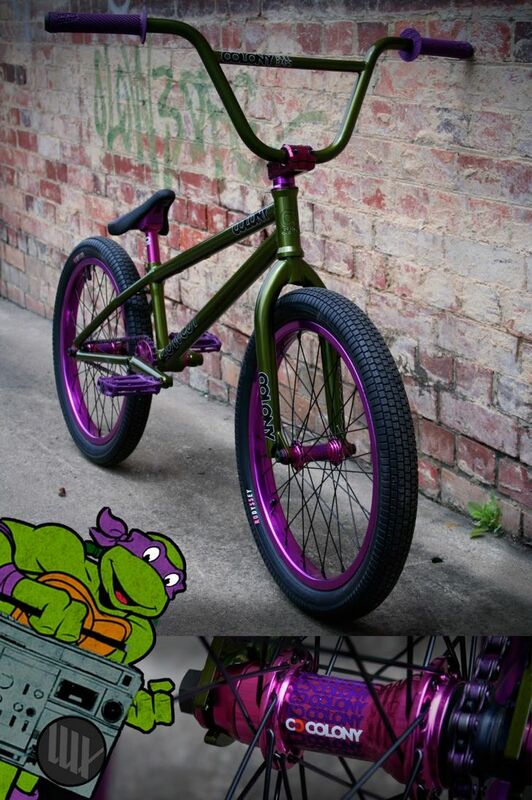 The guys over at Lux BMX built up a sweet custom Lowcut dubbed Donatello today in Wasabi & Purple & it looks sweet as. Teenage mutant ninja turtles in full effect, check it out below. 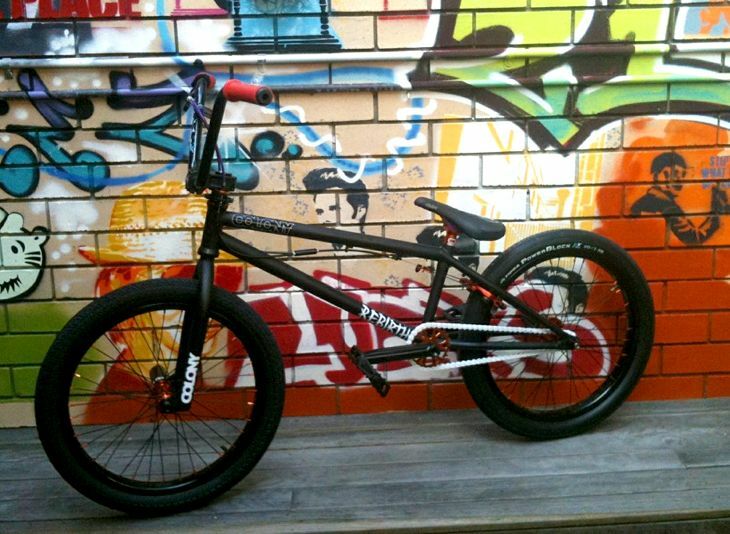 Click here to get yourself over to the Lux site & make this bike your own… word. 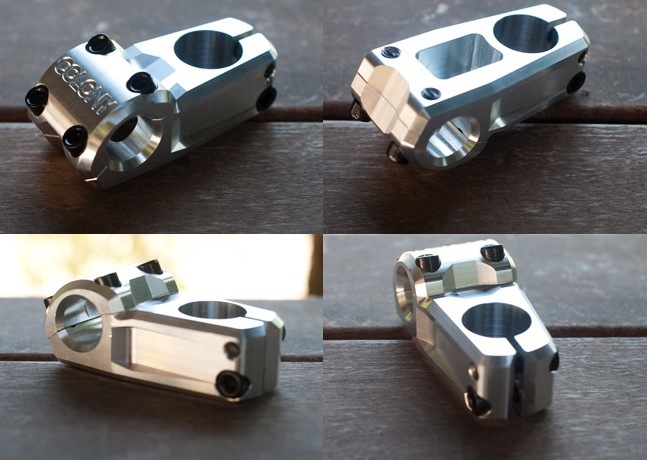 Available only in Australia & in a limited supply of only 100 pieces is a polished version of our Variant stem. These will be in Australian bike shops end of next week so contact your favourite store to secure yourself one before they’re all gone. 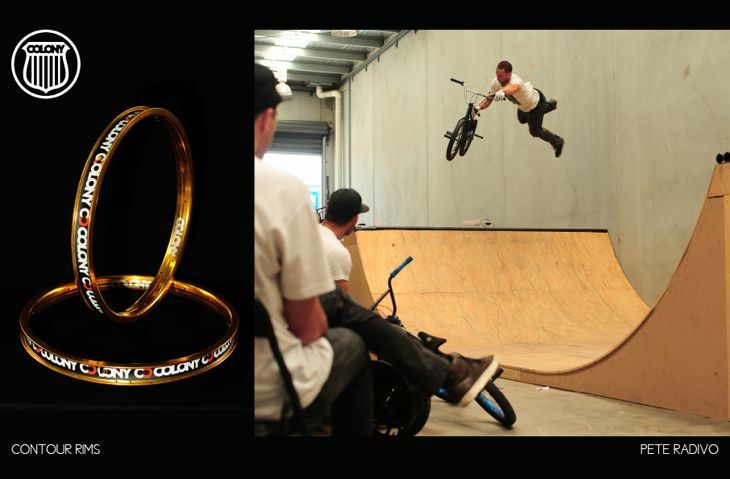 Lux BMX in inner city Brisbane, have been around for a little while now & have set themselves up as one the boutique BMX stores right from the get go. They stock our entire ranges so make sure you check out their website by clicking here now. They have some really clean looking product photography that is a little different to the norm out there, makes for a nice touch. 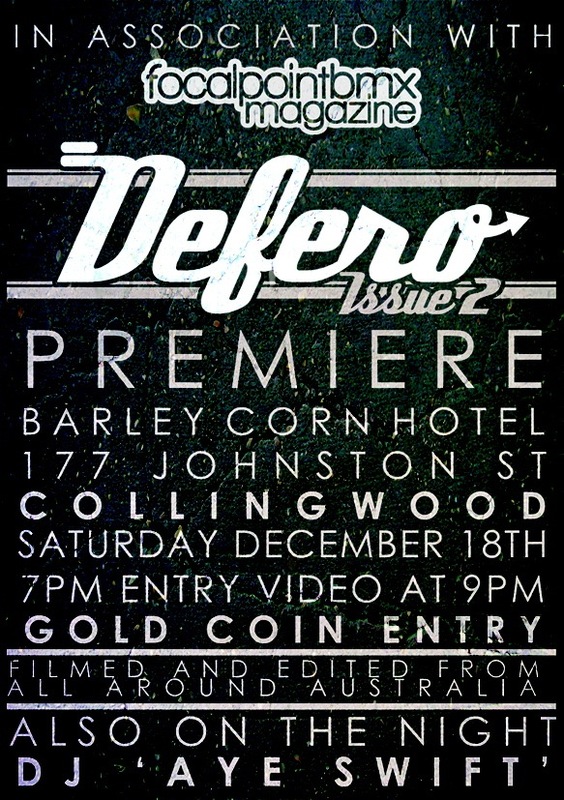 In association with Focalpoint the second instalment from the good folks at Defero is coming up on the 18th of December in Melbourne. Should be a good night if it’s anything like the last one, good times. 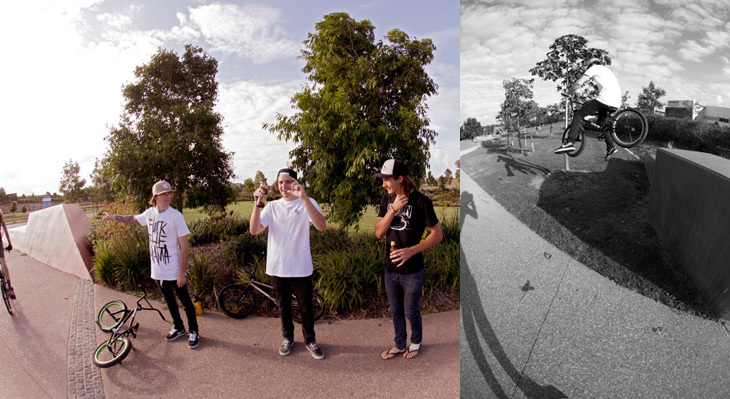 The guys have been going out on heaps of missions of late down in Melbourne getting clips & having a blast. Here is Cooper getting his boost on in a drain down there. Braaap !! 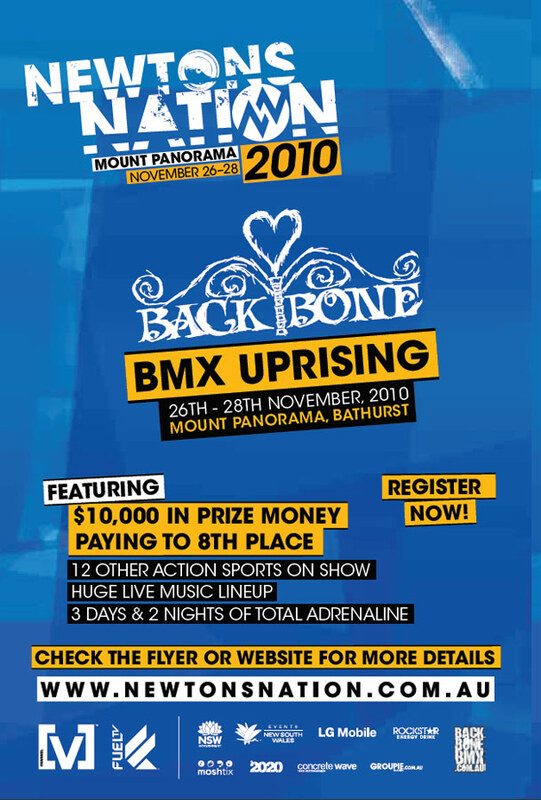 Backbone BMX are proud to present The Uprising which is a massive dirt comp set to be ran at the Newton’s Nation event this weekend down in Bathurst, NSW. 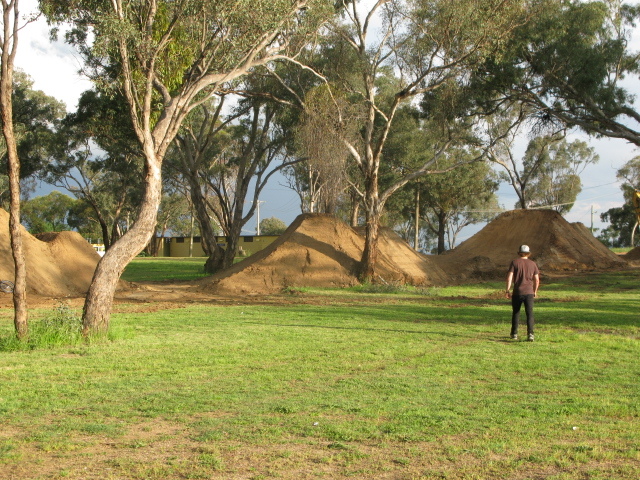 The guys at Backbone have had the jumps built some time before the event & will be totally dialled in for the comp. Should be a great weekend of dirt riding with a massive $10,000 in prize money up for grabs. 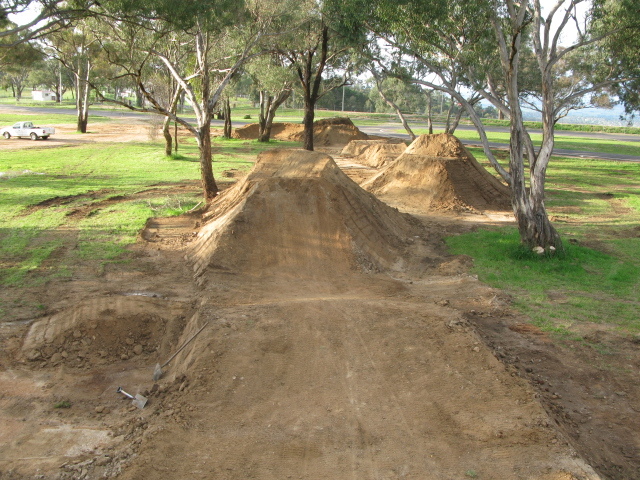 Expect to see the who’s who of Australian BMX dirt riding there, so if you can get there do so without delay !! Pete Radivo has always been one of my favourite riders out there & he is still very much killing it doing his own thing. Pete scores our splash page for the next while now along with our Contour rims available now. Little photo below of Liam Zingbergs doing his thing. Liam rides for us with the help of Little Black Bike down in Adelaide. LBB are also in the process of moving to a nice new location closer to the city park down there. More on that soon. Check out David Rubinch’s website for more photos like shown here. 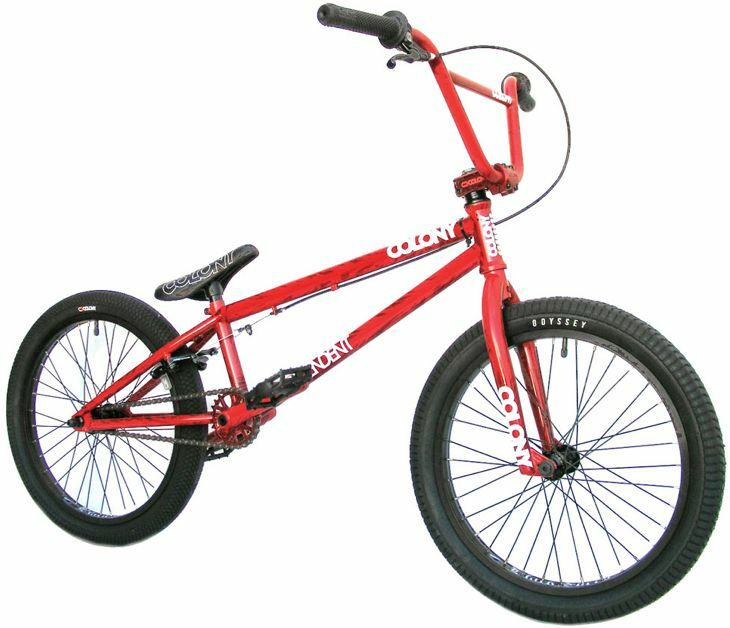 Our flow rider from the USA Broc Raiford has the current advert for Colony in the new Ride US. Featuring the popular Bull Bars. This photo was shot about a month ago whilst we were over in the USA. Amazing spot! On November 6th, episode 49 of Rush TV aired here in Australia which featured a little piece on Alex Hiam. You can watch it online by clicking here now. Just skip to 14.35 min to see Alex’s piece of you don’t have the time to watch the entire show. Be quick though as the episode expires online in 6 hours from now. In other Alex news, he is still off the bike from his broken leg 3 months ago & has been told by the doctor he will have to wait another 3 months till he can ride again. Needless to say the little fella is going crazy with so much time off the bike. Rest assured though he will be back on the bike & shredding once again. It’s been a pretty hectic past few months from me. First up I spent 17 days in Japan taking it all in. I’ve never heard anyone saying a bad thing about going & after spending a little time there I can totally see why – Japan rules!! 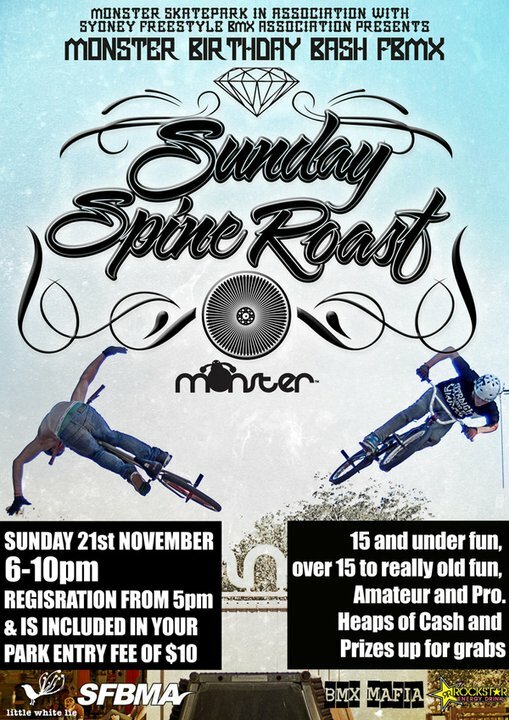 Anyone who’s into BMX needs to get across, so much stuff to ride & the riders there are awesome! After Japan I came back to Australia for a couple days, basically enough time to sort my bike & clothes, then get on another flight to London with a stopover in Kuala Lumpur. I’d made some plans to spend time with my good friends there including Shintaro Misawa who also rides for Newcircle with me & Mat Dagu who rides for Colony in Malaysia. So after picking me up we all headed to the riding spot where there were about a dozen riders all sessioning really hard. It was about 10pm at night & after not sleeping for 2 days I crashed out by accident – oops haha!! So after spending a day with everyone in KL, they were kind enough to take me back to the airport where I hopped the plane for London. London was basically me spending a bit of time riding at the work famous The Green Mile spot at West Norwood in South London. If you ride flatland, this spot is basically one of the best in the world & the crew that rides here are dope!! My plan was to spend the next couple weeks here riding & hanging out with everyone. But this is the UK in November & with all the rain that was had not as much riding got done but it was still an awesome time for sure. After leaving London I had another stopover in Kuala Lumpur where the guys met me at the airport again. This time I had been sleeping so I was proper down to ride haha! They got me at 9pm & after stopping off for some food we got to the riding spot just after midnight. As always a tonne of riders were throwing down & it was 6am before we closed the session & all headed home. Damn. So back in Australia about to enjoy a summer full of riding. Will be going to Melbourne in the beginning of December for shows & then Beijing, China for more shows on their National TV station & talking about the 2 Guinness World Records I broke earlier this year. 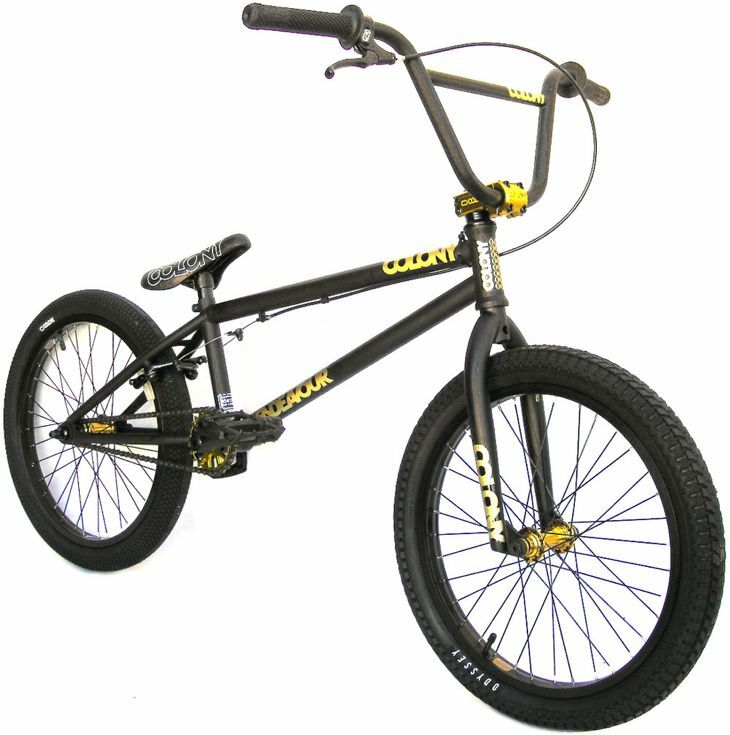 And super stoked on the Colony Apprentice complete flatland bike coming out. I heard those cool cats over at Newcircle are getting a stack in so if you’re down with the Ground Work you need to head over there & get yours already!! Keep an eye for more updates from the road…. 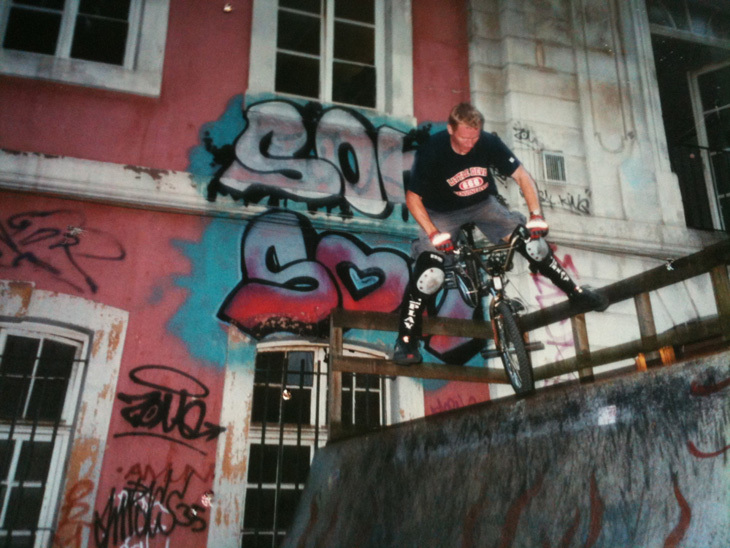 Team rider Paddy Gross sent me over this photo he came across of Clint Millar from what must be a lifetime ago (year 2000 actually) riding the very ramp Paddy grew up riding and learning tricks on in Trier, Germany. 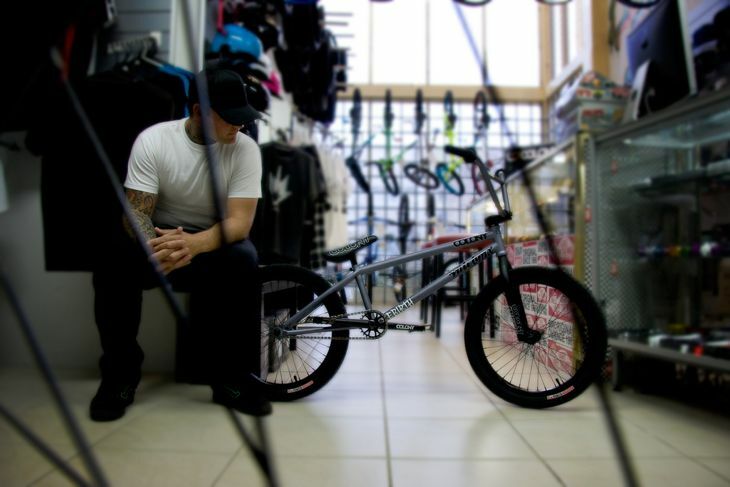 It really is a small world when it comes to BMX! Random fact I found out when working out where Trier was is that it is the oldest city in Germany. Bruno Faucon collected some footage over in France in recent months & put this video together with JB from Maniable. Enjoy !! MA'Tv #10, Bruno Faucon, late 2010 from JB on Vimeo. 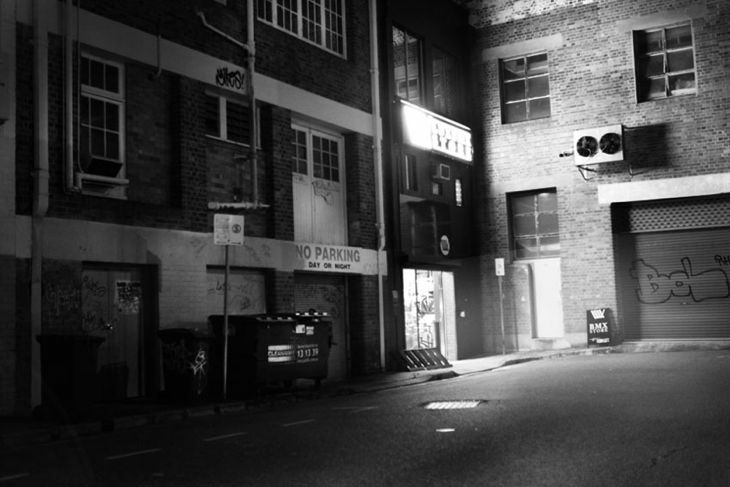 We have been out and about this week riding around Melbourne, sometimes we need to hide from the rain so undercover spots are in order…. Often imitated but never perfected. The other day I made the 7 hour trip out to Albury to join with the ‘Showtime FMX’ crew for a sweet demo. 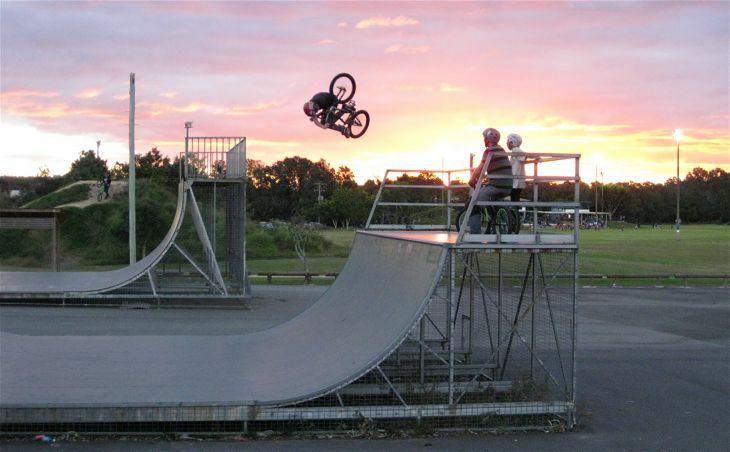 We were there to promote a local club, we took over the car park…..FMX, wakeboarding, harley stunt riding, trials riding and some BMX flatland! Great day, with a really fun crew and a really well organised demo, was a lot of fun, already looking forward to the next one in January! 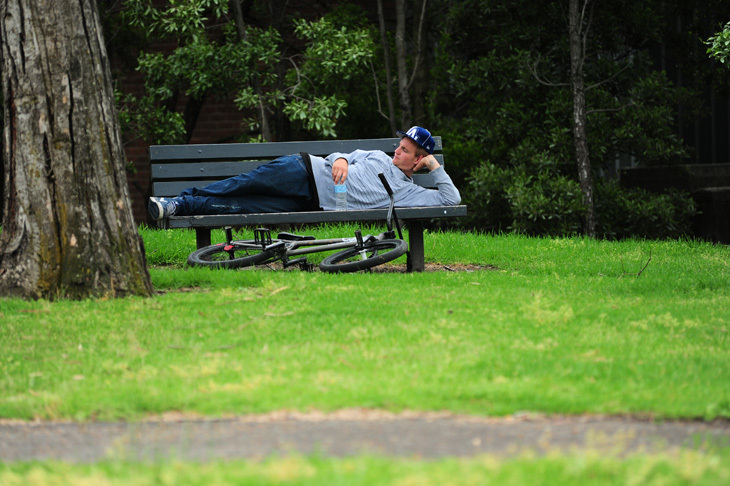 Matt King dropped into the office the other week & went shopping for a new bike. His choice of ride was the 2011 Rebirth frame in our Matt Grey along with a bunch of our 2011 parts ranges including Bull Bars & Guardian forks. Check it out below. 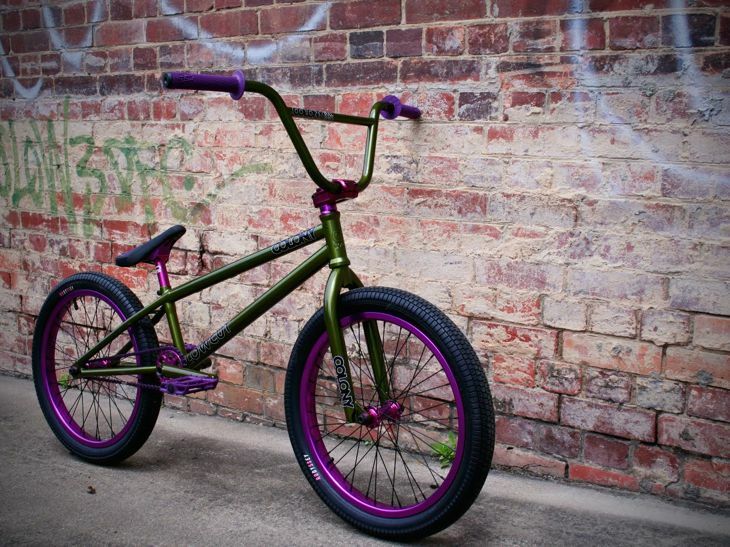 Thanks to the guys at Helensvale BMX for putting Matt’s bike together & the photos. Word. 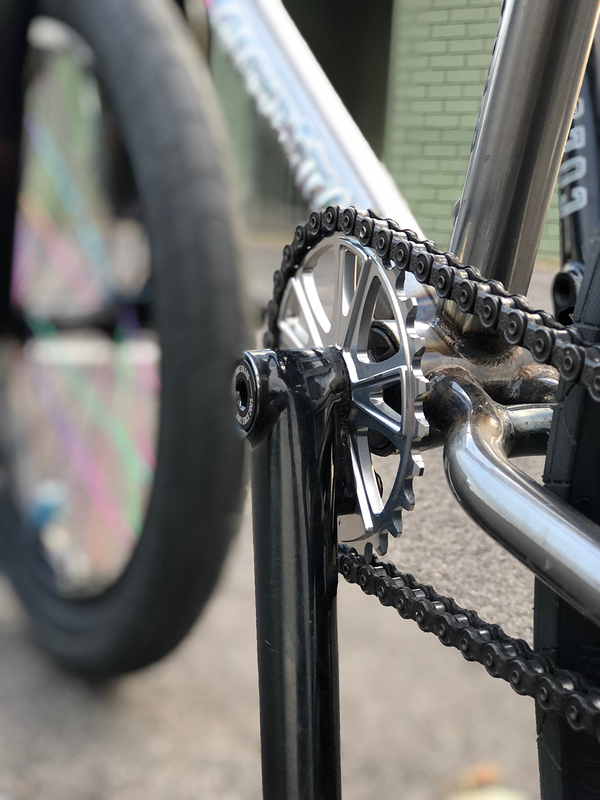 Our first ever flatland complete bike is in assembly stages right now & will be shipping to various markets in a limited number in the weeks ahead. 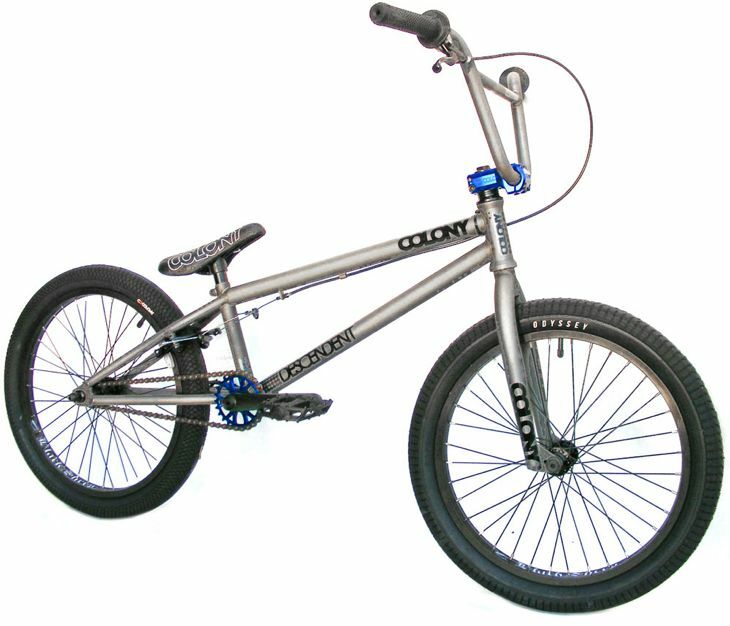 Based on Simon O’Brien’s DejaVu frame with forks & bars based on Shane Badman’s Cube series it is ready to shred straight out the box. 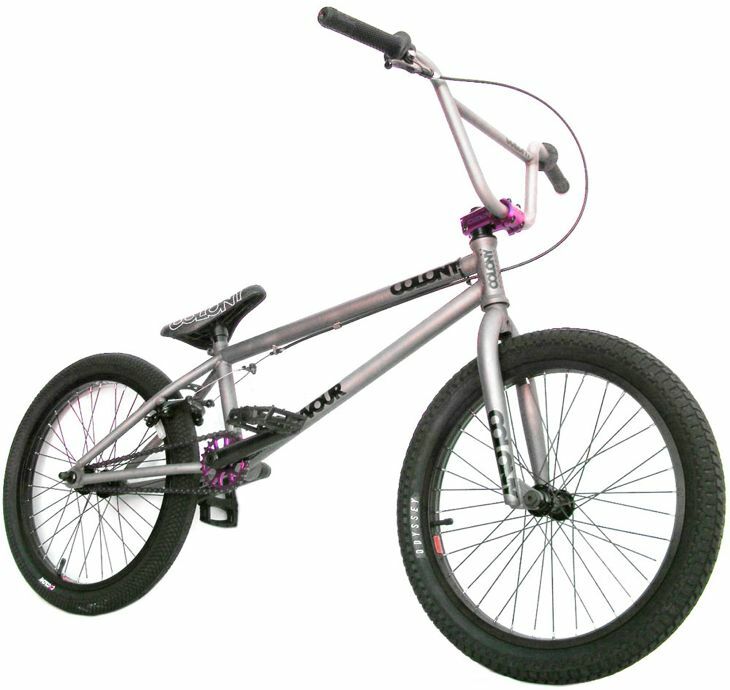 Directed towards the beginner rider out there these bikes will be affordable yet still offer a great pro feel ride. Cooper Brownlee has been hard at work on & off the bike of late. His latest issue of Focalpoint magazine just hit stores this past week & he has been very busy working on a 2012 relaunch of the art direction for Colony. Busy times. He still finds time though to get his shred on as in this sequence shot by fellow media mogul, Stewart Munro.